Instapush is a service that allows you to send push notifications to your smart phone. 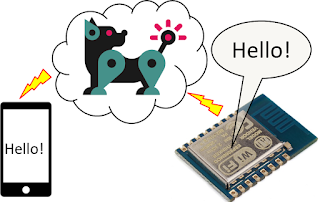 Below is simple example of how to send a notifications from an ESP8266 running NodeMCU Firmware. .. "Host: " .. host .. "\r\n"
.. "X-INSTAPUSH-APPID: " .. appid .. "\r\n"
.. "X-INSTAPUSH-APPSECRET: " .. appsecret .. "\r\n"
.. "Content-Length: " .. string.len(data) .. "\r\n"
What pin is the ADC input? TOUT on an ESP8266 module. A0 on a NodeMCU Devkit. 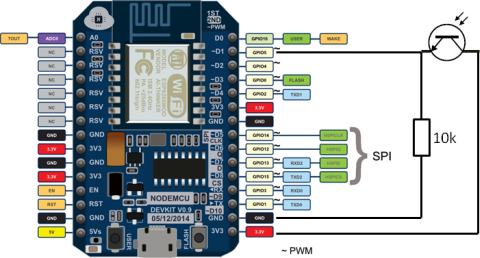 What is the range of the NodeMCU ADC input? Note that the NodeMCU board has a voltage divider on the ADC input. The ESP8266 module it self has 0 - 1.0 V input range. 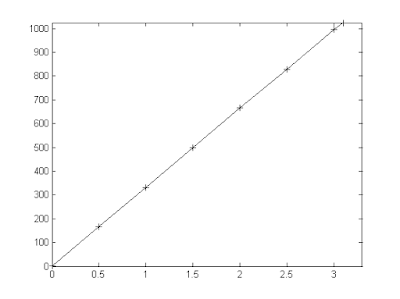 I did a plot of the values and it looks linear. Do I need to power down WiFi before using the ADC? Can I measure the supply voltage? It returns a value in mV. I got 3123. Be careful to use this call since it is buggy and will cause reboots quite often when called! This device is installed in my home to monitor the usage of electricity. It counts the pulses from the meter and produces a log file with number of pulses and a time stamp that can later be analyzed. The hardware is quite simple. 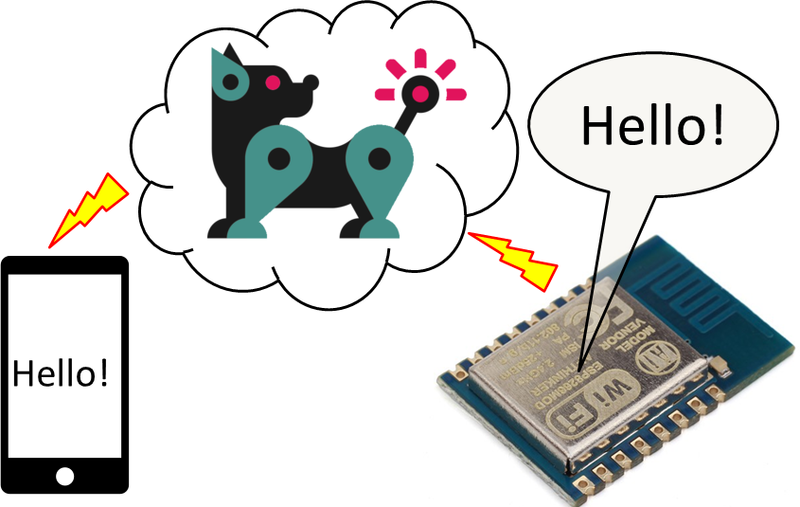 The NodeMCU development kit board with an ESP8266 running the NodeMCU firmware is connected to a phototransistor with an pull-down resistor. The firmware and my lua script seems stable since it has been running for more than 10 days without problems. The phototransistor used is PT204-6C. It is aimed at the pulse windows on the power meter. I also working on a php script that produces a diagram. Below is the NodeMCU lua code. Pin 1 is set to generate an interrupt on the rising edge. 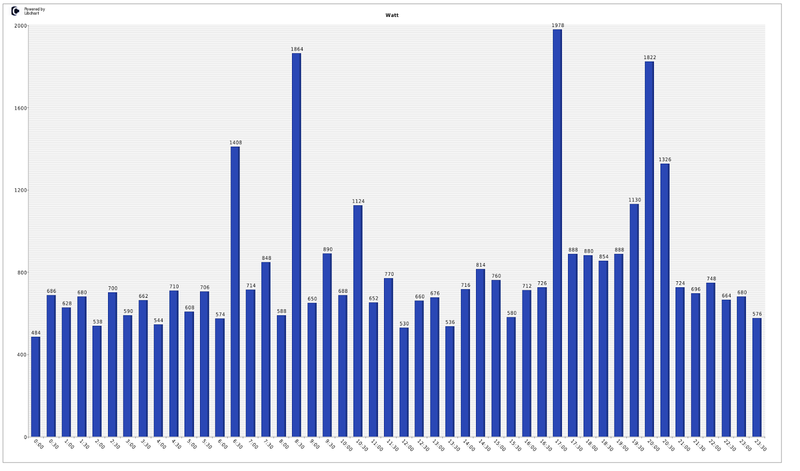 I had some issues with pulses counted multiple times probably due to bounce in the input signal. I have solved this by only inrement the counter if there is a gap of 20 ms or more between interrupts since the pulse is about 10 ms wide. This is done with the method described in my previous post. Every 60 seconds it also loads a webpage with a php script that writes to a log file. The script extracts the parameters from the url and creates an entry in a file. There is a new file create every 24 hour. The NodeMCU firmware has some nasty bugs in the tmr.time() and tmr.now() functions so don't use them! From what I have observed in v0.95 and v0.9.6-dev_20150406 the following happens. 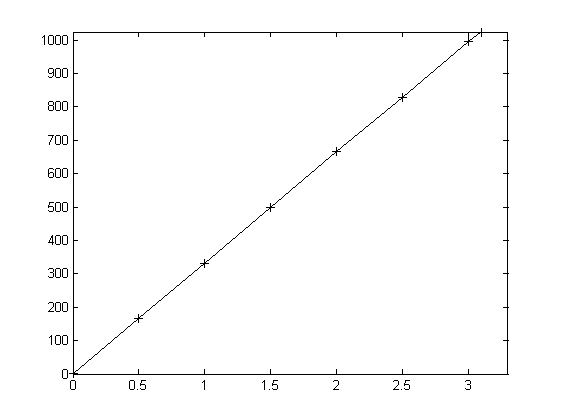 tmr.time(), that returns system time in seconds, makes a jump after 25430 seconds (about 7 hours). tmr.now(), that returns system time in us, does at some point in time freeze and returns the same value for every call. Then you can use the variable timestamp in you code to make time measurements. This post describes a low cost open source home automation system that you can build your self. The goal is to use a smartphone as remote controller for your home. The system is based on the openHAB software and MySensors Arduino library. Home automation enables you to observe and control your home. You can observe temperature, humidity, energy consumption and so on. It will also let you control your lights, media units, window blinds and other objects in your home. You can also create rules based on senors value, time of day or other conditions that will automatically control your home. A standard WiFi router is used to connect the smartphone to your local network. The Server (or Controller) is a computer running openHAB runtime core. This is the heart in the system that keeps track of the system. This can be a Window or Linux computer. A Raspberry Pi will do the job. The Gateway (or Access Point) is an Arduino board running the myControler software. 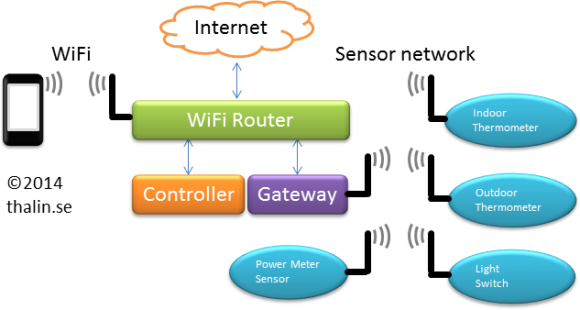 The sensor network is a radio network connecting the sensors and the Gateway. 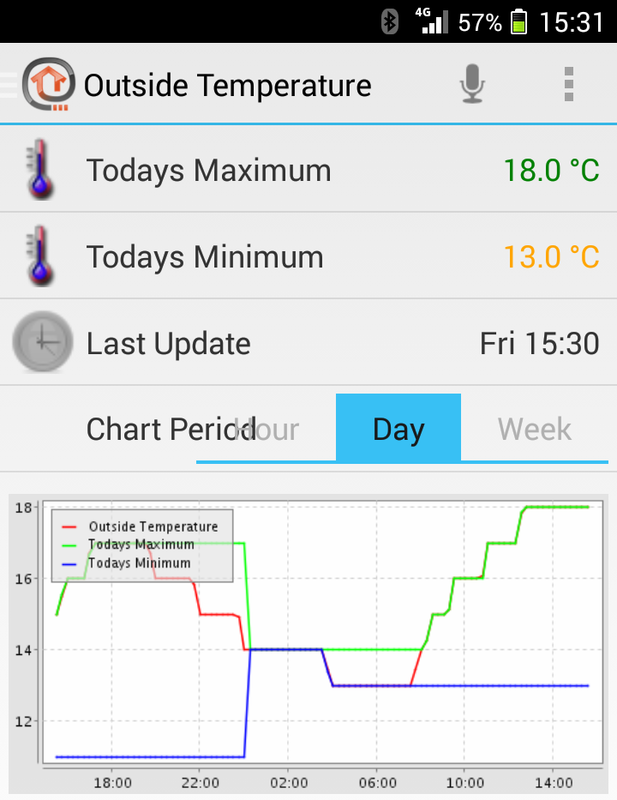 Below is a screenshot of the openHAB smart phone user interface. A web browser can also be used. The openHAB software with enabled encryption and authentication is fairly secure. But the sensor network has very few security features. Since the range of the sensor are limited it should not be a problem unless you live in a densely populated area. I would not connect it to my door lock or something that could cause damage or fire. MySensors - Arduino library for the sensor radio network. openHAB - Vendor and technology agnostic open source home automation software. 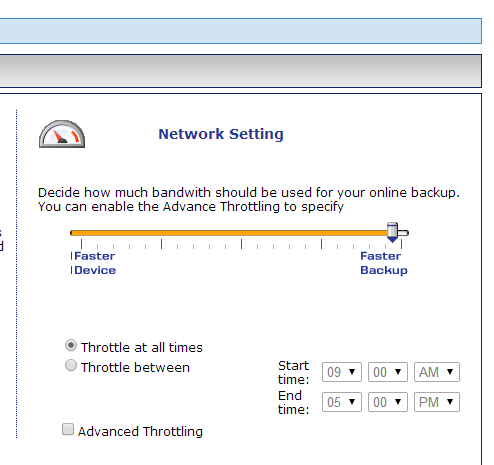 Here so how improve the backup upload speed for ReadyNAS Vault. 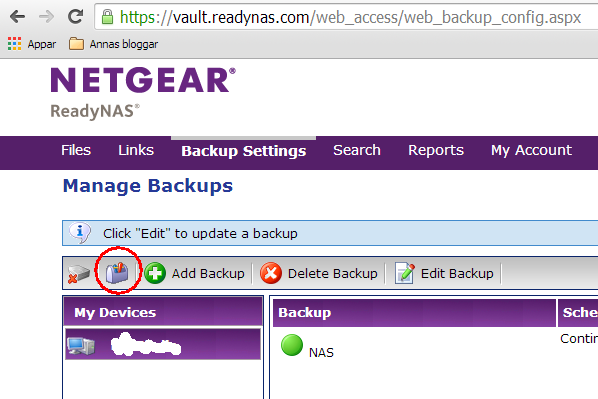 ReadyNAS Vault is a cloud backup solution for Netgear ReadyNAS. It runs on the NAS hardware without any computer involved. Goto to: Backup Settings -> Manage Backups -> "Mailbox icon". See below. Changed the slider to 100% for maximum speed. 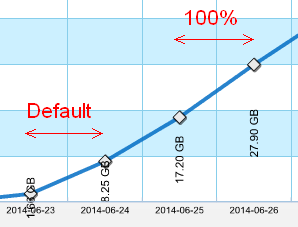 You can observe the upload usage per 24h by clicking. Reports -> Account Usage. The improvement is 1.6 times faster. Not a huge improvement but better. My Internet connection is 10 Mbit/s (theoretically 1.25 MB/s) for outgoing data so it should not limit the speed in this case. 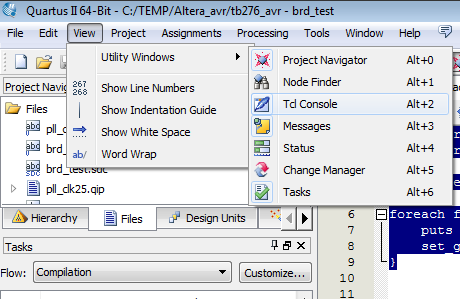 This post describes how you add multiple Verilog files recursively to your project in Altera Quartus II. If you are using VHDL you can simply change the file matching from "*.v" to "*.vhd*". 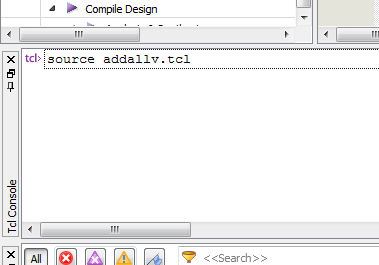 You have to enable the the Tcl Console by selecting View -> Utility Windows -> Tcl Console. Run the command by typing it in front of tcl> and press return.